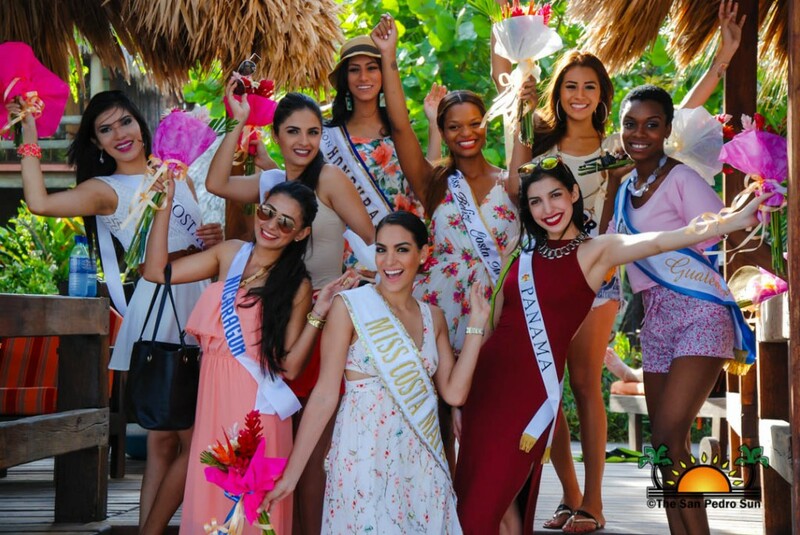 Home » Pageants & Beauty » Costa Maya Beauties touchdown in La Isla Bonita! « Older: Presenting the 2015/2016 Miss San Pedro Pageant contestants! Costa Maya Beauties touchdown in La Isla Bonita! 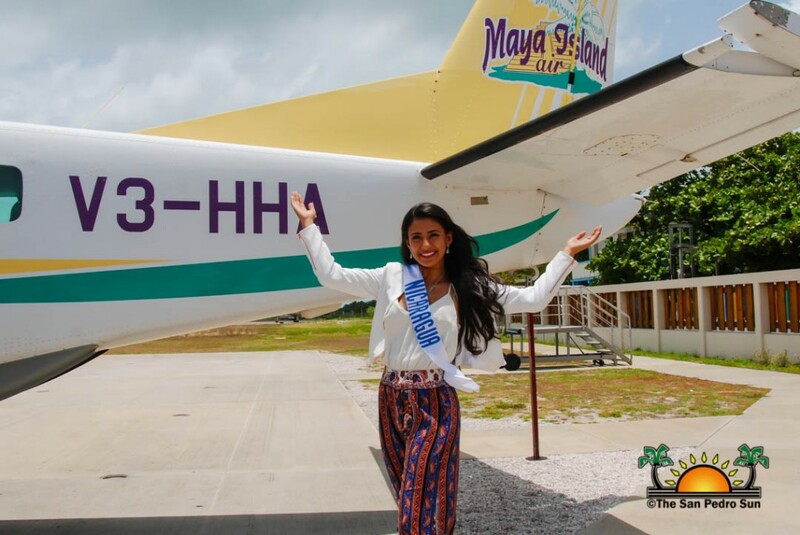 With the Reina de La Costa Maya® Pageant, only a week away, the delegates have arrived in San Pedro. The pageant opens The International Costa Maya Festival® on Thursday, August 6th, and promises to be an unforgettable show. Vying for the title and the coveted crown is Miss Costa Rica Corlin On Porras, Miss El Salvador Genesis Margarita Fuentes Bolaños, Miss Honduras Gabriela Vanessa Salazar Valle, Miss Mexico Samantha Gutíerrez Gónzalez-Rubio, Miss Nicaragua Yuliset Laguna, Miss Panama Maria Saavendra, Miss Guatemala Lisa Hayet Francis and Miss Belize Samalia Vernon. First to arrive on Wednesday, July 29th was Miss Mexico. The lovely Samantha was accompanied by none other than Riena de La Costa Maya 2014/2015 Elisa Espinoza Gómez. Samantha is very proud of having the opportunity to represent her country and is looking forward to an unforgettable experience. “It is my first time in San Pedro and I had never heard about the festival before. 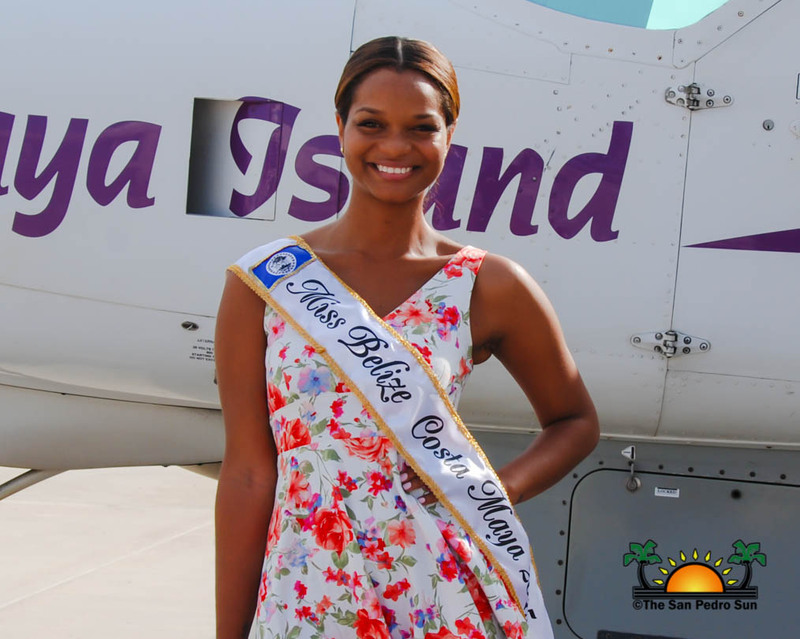 But I feel at home and I encourage everyone from the island to continue doing events like this one, because it helps to promote the island itself and people like us have the chance to come here and mingle with them,” said Miss Mexico. Next to arrive were Miss Costa Rica Corlin On Porras, Miss El Salvador Genesis Margarita Fuentes Bolaños, Miss Honduras Gabriela Vanessa Salazar Valle, Miss Nicaragua Yuliset Laguna, Miss Panama Maria Saavendra and Miss Guatemala Lisa Hayet Francis. The six beauties were all excited to be in San Pedro as this is their first time in Belize. After a short photo session, the delegates were whisked away to Ramon’s Village Resort where they will be staying while in San Pedro. 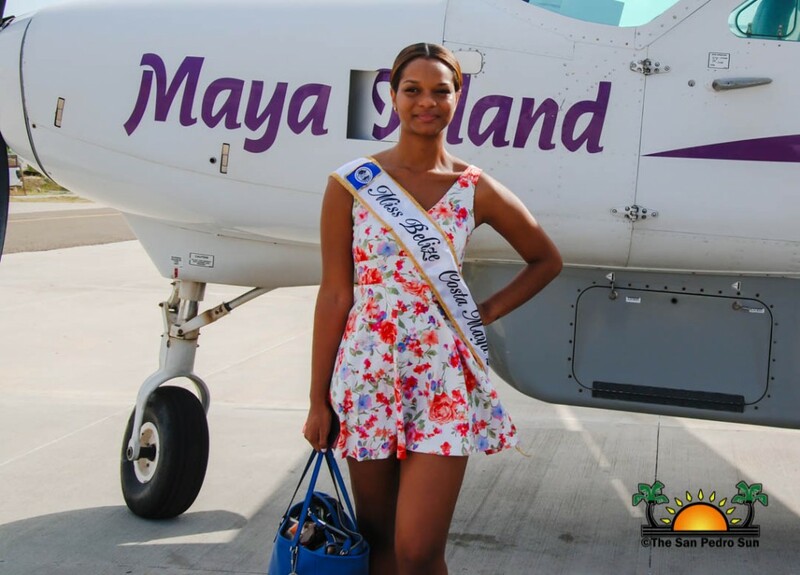 Last to arrive was Miss Belize Samalia Vernon who was eager to meet the other contestants. 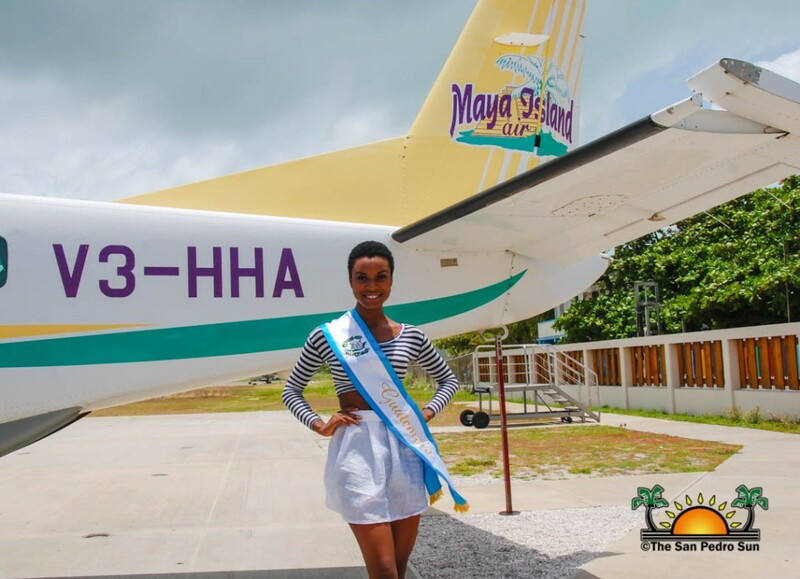 As the representative for the host country, Samalia hopes all the other participants enjoy their time in Belize. “There is so much excitement! So much done, so much more to look forward to in the road to the pageant. To my Belizeans supporters and family, I want to share today with you the reason I choose to say yes to be Miss Belize I believe in leading by example. 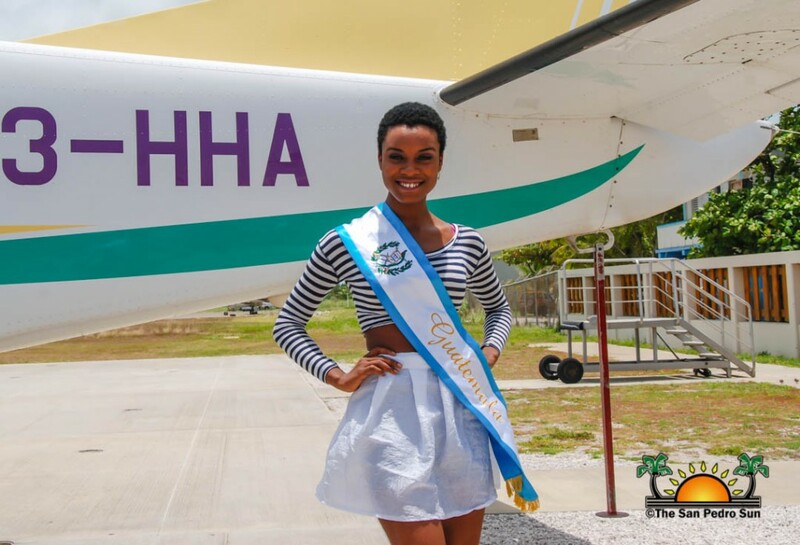 That is why I say, that I am prepared to be the person that will make my Belizeans proud both on stage and on every other arena of my life,” said Samalia. 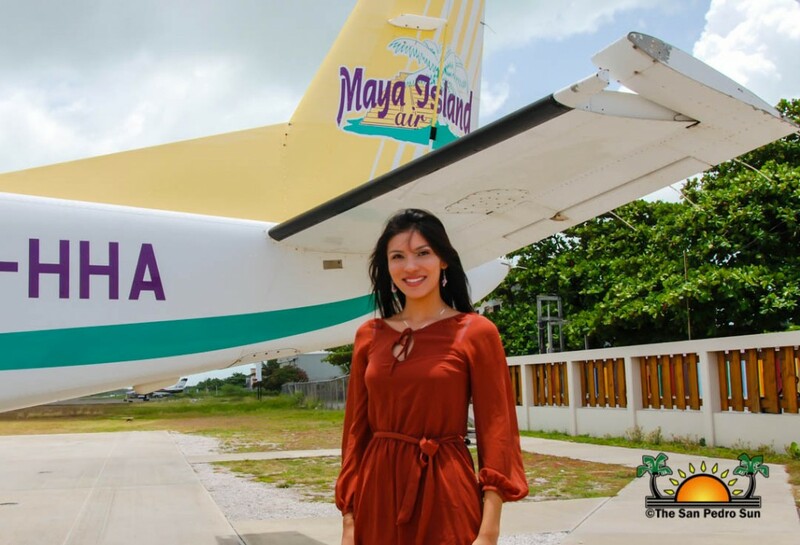 The delegates arrived via Maya Island Air, who is the official airline of the festival. Throughout the course of the week, the delegates will participate in several activities leading up to the pageant. The official welcome event will be held on Thursday, July 30th at Fido’s Restaurant and Bar starting at 8PM. Noche San Pedrana will be held on Friday, July 31st from 7:30PM at the Ramon’s Village Resort and will see the National Dress Competition. A new activity for the delegates this year, will be their attendance to the Belize National Tourism Award Ceremony and Gala on Saturday, August 1st at Holiday Hotel from 7PM. They are also expected to enjoy a sunset cruise, snorkeling trip and tours across Ambergris Caye. The La Reina de La Costa Maya Pageant is scheduled for Thursday, August 6th at the Honorable Louis Sylvester Sporting Area at 7PM. The field has been undergoing major renovations, and it seems all systems are working overtime to ensure the grounds are ready in time for the festival. Tickets are now on sale. Seasonal Passes are $150 for adults (13 years and older) or $50 for children (5 years to 12 years), Night passes are $50 for adults and $20 for children on Thursday, August 6th (Reina de La Costa Maya Pageant), adult $65 and children $30 on Friday, August 7th (Noche Cultural) and $100 for adult and $30 for children on Saturday, August 8th (Noche Internacional). The San Pedro Sun wishes all the delegates the best of luck. Costa Maya Festival® Presents: Miss El Salvador, Miss Mexico and Miss Panama... El Chevo to bring ritmo y sabor to the stage!